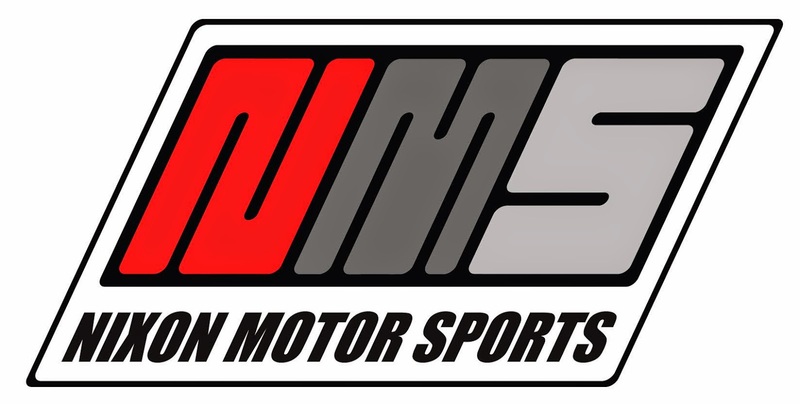 Nixon Motor Sports: 2014 Formula 1 SHOWDOWN! 24 hours from now we will know who has won the driver's championship for this year in Formula 1, but for now it's all up for grabs between the last two men standing. Let's see if we can accurately predict how things will play out in the DUEL IN THE DESERT tomorrow! Atop the points standings right now is Lewis Hamilton, driving for the dominant team this year, Mercedes. He's won more races than anyone so far, and has more F1 wins than any other British driver ever. As a former world champion in 2008 with McLaren, Hamilton should know how to deal with top level competition such as he will face tomorrow in the final race. On the negative side, he's also had some bad luck this year with a couple of mechanical retirements, an engine fire during qualifying, and having to start from the back of the grid. Add that all up, and with his points lead right now, he can lock up the championship by finishing first or second tomorrow. If he's third or lower, then his team mate could take the championship if he places high enough. Second in the points standings, and the only other driver with a shot at taking the crown is Nico Rosberg, also driving for Mercedes. While Hamilton has more wins this season, Rosberg has taken more pole positions, including the pole for tomorrows finale in Abu Dhabi. This gives Rosberg the advantage before the race starts, but as we've seen this year, these two guys are not afraid to mix it up on the opening laps, like in Belgium this year when Nico hit Lewis and caused damage to both cars. Rosberg can't afford any contact in this race because he MUST finish higher than Hamilton. By starting ahead of Hamilton, at least going into the first few corners Rosberg shouldn't have to worry about any collisions. Strategy wise, here's a few likely scenarios on what we'll see tomorrow. Hamilton as the points leader might just be very very happy to stay in 2nd place from the grid all the way to the end. Barring any mechanical problems, collisions, or terrible pit stops, given the pace of the Mercedes car this year I think this is what we will see. The only danger here, and it's not a huge danger, is that someone else will pass Hamilton for 2nd place in the race. If this happens, and Rosberg is cruising ahead up in first place, then Hamilton will have to fight back with everything he's got. The math works out that if Hamilton finished 3rd or lower, while Rosberg wins, then Rosberg becomes world champion. The more complicated part is if Hamilton is 3rd or lower and Rosberg is 2nd or lower. In that case, there are a lot of points to be added up and figured to see who is champion. Rosberg trails in the points, so first off he MUST finish ahead of Hamilton. Since he's on the pole, maybe he can just stay ahead and that will be all he can do. If so, he'll be hoping that someone from farther back can pass Hamilton to hand the championship to Rosberg. Most likely to do that would be the two Williams drivers, Valtteri Bottas from Finland and Brazil's Felipe Massa. The Williams cars are now qualified in 3rd and 4th, right behind the Mercedes drivers, and their qualifying laps were close to the Mercedes guys. Beyond the Mercedes and Williams teams, both Red Bull and McLaren have had some good laps so far this week, but it seems a bit far fetched to think that they will suddenly be a second a lap faster and be able to run with the Mercedes guys. They've both managed to at least get on the podium this season, so I think we'll only see them factor in the standings if Hamilton has a problem in the race that allows Ricciardo or Vettel from Red Bull, or Button or Magnussen from McLaren to sneak ahead. To borrow a phrase from baseball's Yogi Berra, "It ain't over til it's over".